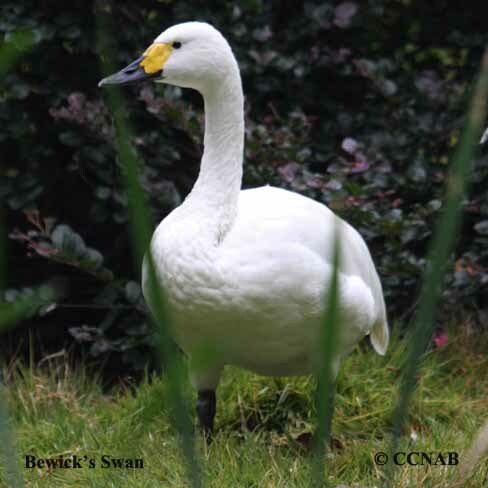 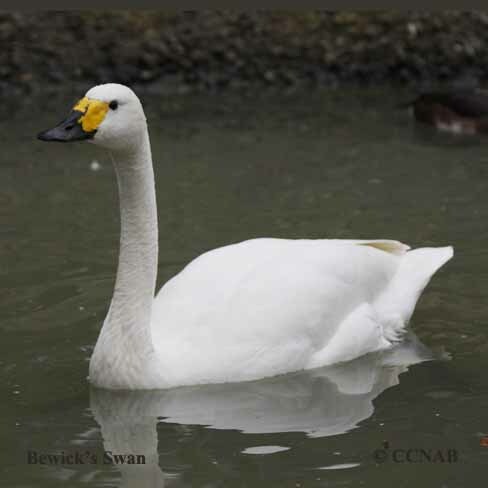 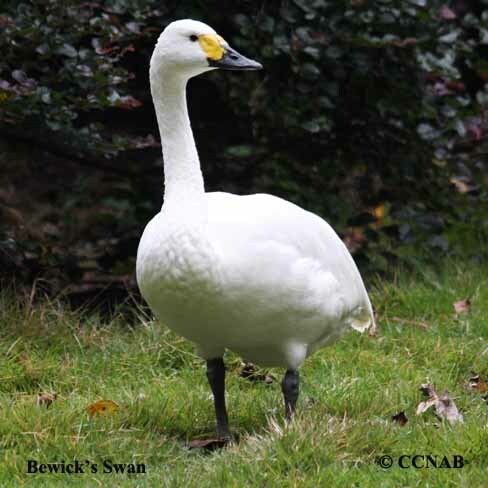 The Bewick's Swan is a sub-species of the native Tundra Swan seen in North America. 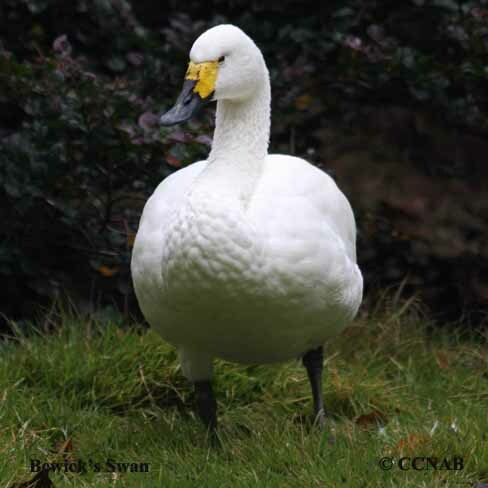 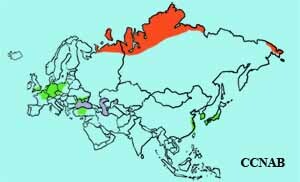 This eurasian swan is a visitor mostly to the State of Alaska and is often seen on the Aleutian and Bering Sea Islands. 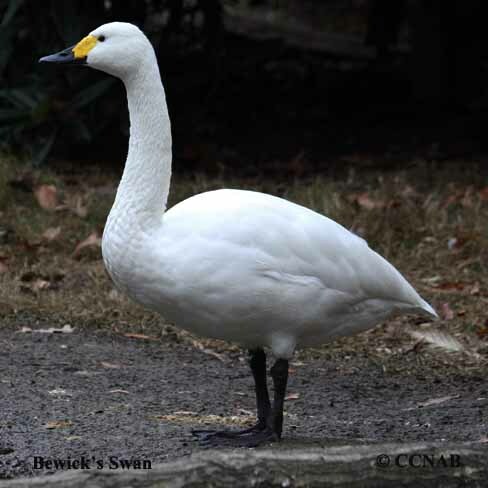 It is distinguished from our Tundra Swan by a much larger yellow area on its bill. 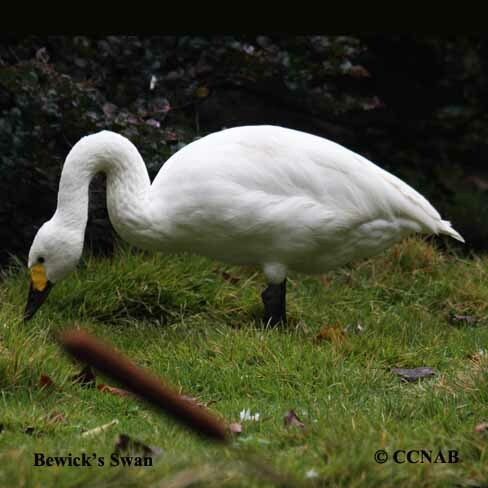 These swans were once know as "Whistling Swan".